Mulegé is a beautiful oasis town located along the tranquil shores of the Sea of Cortez. 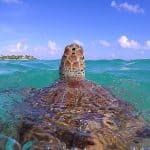 This small town enjoys a typical mild Baja climate that many travelers find to be exactly what they are seeking. Mulegé also has some incredible petroglyphs and cave paintings nearby, that can be explored by way of an easy half-day excursion. A guide is necessary and also required by law. 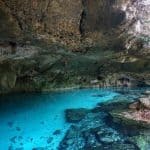 This area is extremely popular with fishing, snorkeling and diving enthusiasts. Sea kayaking in the peaceful waters of Bahía Concepción, to the south, is another increasingly popular activity. Fishing boats, tackle, sea kayaks as well as diving and snorkeling equipment can all be rented in Mulegé and all kinds of tours can be arranged. Mulegé is one of the magic places to explore on any Baja vacation. It is a favorite of many frequent Baja travelers for good reason. If you want to get a glimpse of “The Real Baja”, make a point to stop in Mulegé and spend a little time. The town is known for its friendly locals and sincere hospitality. Mulegé is the gateway to Bahía Concepción, a large bay within the Sea of Cortez. This area, without a doubt, is one of Baja’s most beautiful areas. Countless beautiful coves and inlets, most with exquisite white sandy beaches are seemingly around every corner. The 20 miles of highway that hug the coast below Mulegé give access to what are considered by many to be the nicest beaches in all of Baja. This special area of Baja offers endless swimming, snorkeling and camping opportunities along with virtually endless photo opportunities. To view the best beaches in Mulegé and the Sea of Cortez, click here. In Mulegé, the summers are long, hot, humid, and partly cloudy; the winters are comfortable and mostly clear; and it is dry year round. Over the course of the year, the temperature typically varies from 57°F to 96°F and is rarely below 53°F or above 99°F. The hot season lasts for 4.4 months, from May 26 to October 8, with an average daily high temperature above 91°F. The hottest day of the year is July 2, with an average high of 96°F and low of 80°F. The cool season lasts for 3.1 months, from November 29 to March 2, with an average daily high temperature below 77°F. The coldest day of the year is January 22, with an average low of 57°F and high of 73°F. Loreto International Airport is the closest airport to Mulege. It is about 87 miles from Mulege to the Loreto airport. Americans traveling to Mexico must present a valid U.S. passport. Those traveling by sea can present a passport card and valid driver’s license to gain entrance back into the U.S. Permanent legal U.S. residents who hold a I-551 Permanent Resident card are allowed to board flights from Mexico to the U.S. American tourists entering Mexico by plane or traveling farther than the border zone must buy a tourist card. These are also know as an FM-T, and for travelers arriving by air, it’s usually included in the price of the plane ticket. Other travelers can obtain a tourist card from the Mexican border crossings, Mexican tourism offices, the Mexican consulates and most airlines serving Mexico. 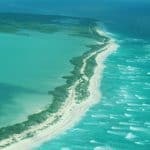 To find the best prices, go to AirFareWatchDog.com to watch for the best fares to Mulege (via Loreto Airport). Just west of Zaragoza, this restaurant and bar has gargantuan meals and breezy balcony seating that’s perfect for an evening margarita with friends. Lobster salad, T-bone steak and pork ribs are a sampling of the surf turf fare. For more information call them at 52 615 153 0330, or visit them on Facebook at Los Equipales. A colorfully decorated restaurant with a special weekend menu for two that includes a gut-busting choice of local favorites like chiles rellenos and enchiladas verdes. Breakfasts come plumply recommended as well. The food is delicious and affordable prices. For more information call them at 52 615 153 0095 , or visit them on Facebook at Doney Mely’s. Great burgers, ambiance, and nice bathrooms. Good wifi, good drinks. All the food is good. Very gringo friendly. For more information visit them on Facebook at El Candil. This is a perfectly charming little spot to sit in the courtyard or inside and have lunch or just a drink and a snack. 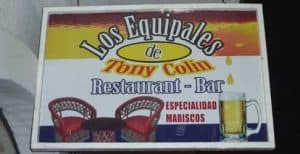 It is a genuine, warm, welcoming Mexican hotel/restaurant. The food is delicious. They serve a bowl of soup (whatever they’ve fixed that day) to begin the meal, and it is always delicious! For more information visit them on Trip Advisor at Las Casitas Restaurant. Located in Coyote next to Bertha’s store. It is right on Hwy. 1 but you have to watch for it. Good Mexican food and drinks from an outstanding bartender. Movie night weekly. Also live entertainment upon occasion. Near the beach but no view. Attractive and pleasant atmosphere. For more information call, or visit them on Trip Advisor at Estrella del Mar de Mulege’. Enjoy good drinks and an amazing view of the Bahia Concepcion. Excellent food, people and service. Taco Tuesdays are well known and not to miss. For more information visit them on Facebook at Playa Buenaventura. Excellent service by the staff and owner, Great food, and good reasonably priced drinks. For more information call them at 52 615 153 0330, or visit them on Facebook at Los Equipales. Probably the friendliest and best bar in the region. Great food and an excellent variety of drinks. The owners are great and always ready to help. 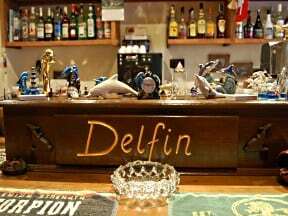 For more information call 34 971 157 652, or visit them on Facebook at Bar Delfin. A top stop for kayakers with milky, blue-green water, funky rock formations and pelican colonies. It features over 50 miles of beaches. Entry into the sheltered bays near Playa Santispac is marked by a lighthouse on Isla Pitahaya. Close to Mapachitos area, hydrothermal manifestations can be found, related to the opening of the Gulf of California. For more information call 52 615 155 9114. You can contact El Burro Baja Tours for information on Baja Concepcion Tours at 52 615 155 9114 or visit their website El Burro Baja Tours (in Spanish only). The former territorial prison was famed for allowing prisoners to roam free in town during the day. Now the Museo Mulegé, its eclectic collection ranges from fairly mundane prison artifacts to a section of a rocket that plummeted from the sky in the year 2000! Note the blackened cell where a prisoner apparently set fire to himself after hearing his wife was having an affair. Open 9am to 2pm Monday – Saturday. Entry is $10 per person, under 12 free. For more information call 52 615 153 0530. Come to the hilltop Misión Santa Rosalía de Mulegé (founded in 1705, completed in 1766 and abandoned in 1828) for great photos of the site and river valley. A simple, old stone mission crowning the hillside above a grove of palm trees. Note: Mulegé is also the departure point for visiting the prehistoric wall paintings and etchings. Sea Kayak Baja Mexico is a small company designed for paddling enthusiasts who value quality equipment and sharing the journey with other skilled paddlers in small groups (max 8 for most trips). Their specialized trips cater to specific skill levels: Retreat, Expedition Primer, Expedition Builder, and Expedition Challenge. They are scheduled around prevailing climate patterns. They can arrange a wide variety of custom trips. Just ask! Also check out their Cultural Trips, inspired by their guides, and their own travels. For more information call 52 613 113 8262 or visit their website Sea Kayak Baja Mexico. 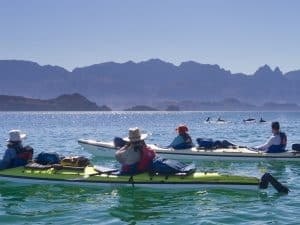 A Baja adventure that combines Baja sea kayaking, snorkeling, hiking, swimming with whale sharks and a full immersion into the rich culture, history and wildlife of Baja California. For more information call 1 800 451 6034, or visit them on the web at Baja Aventura. 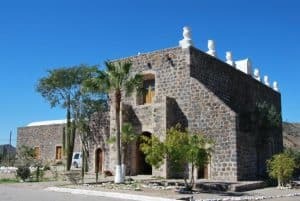 The historic Hotel Serenidad is located in Mulegé, Baja California Sur, Mexico, approximately 620 miles south of the border at San Diego. The resort offers 50 traditional Mexican style rooms, cottages and our newest luxurious villas. Adjacent to the Hotel, we offer an RV Trailer park with permanent and temporary occupants, open all year to accommodate weary travelers. For more information, pricing, or to reserve your room, visit Hotel Serenidad. Hotel Cuesta Real was opened in September of 2002 by Ken, Cristina and Jenice Wright. The hotel has 12 rooms, 10 RV spots, a restaurant, gift shop, laundry facilities, and a swimming pool. We offer a family friendly atmosphere for everyone. Located on the Mulege river, and less than a mile from the Sea of Cortez, Hotel Cuesta Real is the ideal destination for short and long-term visitors in Mulege, B.C.S. For more information, pricing, or to reserve your room, visit Hotel Cuesta Real. 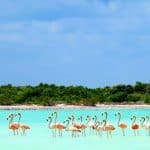 Have not been there yet but it is something I might put on my list.This does look like a great place and you did a great job of explaining how to get the best from your vacation. I live in Florida so I get used to the humid conditions. Not heard of this place but the video makes it very inviting to visit. Hi Helen, I live in Florida too so yes, I am used to that as well 🙂 I am glad you enjoyed reading about Mulege. Come back when you are ready to plan! I’ve been to California twice in my life never really thought about going down to the Baja. I plan to go back to California again with my family this time. I would certainly love to visit Baja California which is so close to California! Mulege looks like a wonderful beach destination. I didn’t realize that visiting the Baja would be so easy while in California. Thanks for the great post. Yes, the Baja of California is so close and many people visit California and don’t think to head on down the Baja. It is a totally different culture and very beautiful. You would really enjoy Mulege, or any Baja town along the way down to Cabo. You have me wanting to travel with all these wonderful places you are showing me from your site 🙂 I would like to visit this place to do some kayaking and the prison tour looks quite interesting too! To be honest I have my eyes set on Loreto over this destination because of the food! How did you find the food here (variety wise?) I am a bit of a foodie also like fresh and healthy! I am a foodie too and I have been to the Baja many many times. So yes, Loreto might be a better choice for you over Mulege 🙂 Any beach destination in the Baja of California is going to be great, because of the wonderful beaches, the location, and you will find less crowds, other than in Cabo. 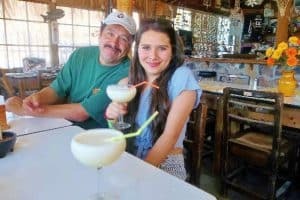 Although you will find great food in Cabo as well, just a few more crowds and a bit pricier. Mulege seems like an incredible beach vacation. After knowing I can see cave paintings too, I’m very eager to visit this place. The water is alluring. Love the video you have shared. This place is now in my bucket list! I am glad! It is a bucket list type of beach destination for sure. The Marquesas Islands are a beautiful place to visit. Please let me know if you need any other information. Thanks! How is the public transport in Mulege? It looks like a beautiful place to visit and the weather is similar to Singapore, where it is warm and humid. Thanks so much for the list of places to visit and hotels to stay. I’ll be bookmarking this! You will find plenty of public transportation, as well as thru the hotel, or renting a car. It is similar weather for sure, and I am glad you enjoyed reading! Yes, traveling and seeing the world would be wonderful for sure! Anywhere in the Baja is beautiful. Thanks for visiting! You know I heard that if you want to start a business you should talk about what you are passionate about. 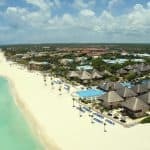 I can feel by reading this post that you are very passionate about beach vacation! Very good valuable information. I will book mark your site so I can come back when I am ready for my next vacation. Thank you for all this good information. Yes, you could say that I am very passionate about beach vacations. I am a beach bum at heart 🙂 I am glad you find my site information, yet making you want to go on that trip now 🙂 You would not regret it, that is for sure. Mulegé looks like a lovely place to visit. So relaxing and picturesque. Can You get around Mulegé without rental car? is there much public transport available? Yes, Mulege is a great place to visit 🙂 You can rent a car, I just never do because I don’t feel like risking it, LOL Yes, there is lots of transportation you can use. They gave buses a plenty and taxis as well. Thanks for reading! Oh wow! Your website is stunning…I really like the pictures and video. Really entices me to travel to Mexico. Well done! Thank you so much Cristy and you will have to travel there! It’s beautiful 🙂 Thanks for reading! Im so glad I stumbled upon this site. I never knew Mexico could be soooo amazingly beautiful. Im used to stunning landscapes as I live in Australia. It really opens up a whole new travel destination for me. Thanks for all the detail on accommodation etc. As I travel with kids its important to be organised! You are very welcome and yes, it would be a nice cultural change for you! Mexico is awesome, especially the Baja. I have been so many times and I never get tired of going. Thanks for visiting! I am in the process of planning my upcoming trip to California for this winter. I am kind of just browsing around at some of the different cities and destinations. I want to get to LA, San Fran and San Diego but would love to spend some time relaxing on the beach. 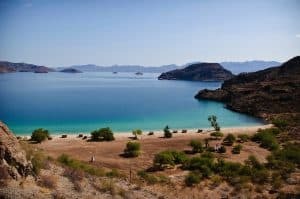 Mulege Baja, California looks amazing. That picture makes me want to head out today! Thanks for your restaurant suggestions, it’s always hard to know what’s good when you travel places! I am glad you enjoyed! And yes, you will enjoy. It is really not far from San Diego and you can actually take a tour bus across the border. You will find it to be amazing, especially the difference in cultures and people. 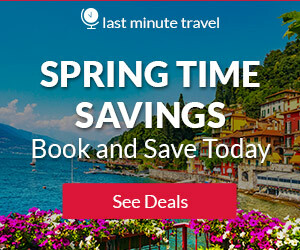 Found this page when I was searching through for places to go for my next trip. Mulegé is definitely a place that I would shortlist after reading through your great post. I am looking forward to the cool season, which is some time around the end of the year up to the early of next year. Would be a great place to visit for the Christmas holidays. Is this place suitable for stay and tourist activities during winter? Yes, Mulege in the Baja California is really good year round. The summer is pretty hot and muggy, so traveling during the winter is going to be warm and less crowded as well. Please let me know if you need any other information. I love to travel and are always looking for new interesting destinations. Mulege Baja California seems to have the same kind of climate as we have in Naples. At least this summer has been a hot like in a desert. You have given very useful information about places to see and restaurants and hotels that are good choices, thank you! I watched the video and wow! what a peaceful place. How about Mulegé, is it as desert too? How many inhabitants are there? Yes, it is peaceful for sure. It is hot, but only in the summer is it at its peak. There are about 3,500 people there, so it is a small town and you get that feel when you are there. None of the hotels are huge, but all are great in service and quality. Same for the restaurants as well. Glad you enjoyed reading! 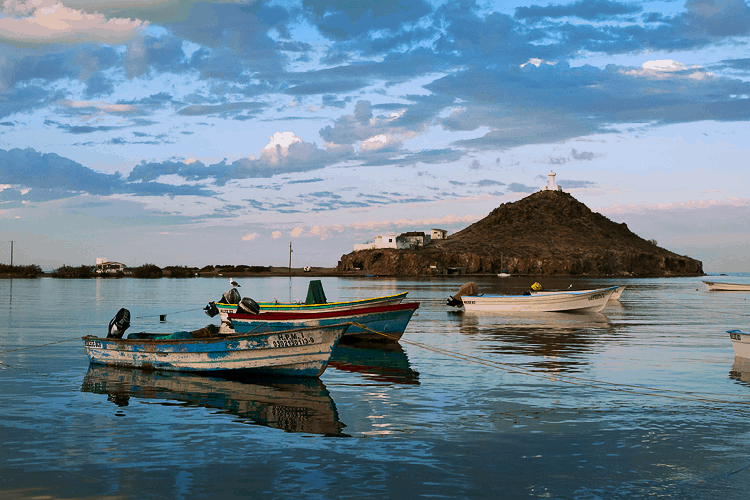 Although i have heard of baja–i haven’t heard of Mulege before.It sure looks like a beautiful place to go on vacation. 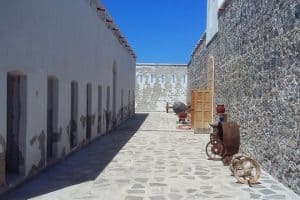 I loved that you shared some of the history of the place-like the old prison cell–.I am a history buff and that really sparked my interest in Mulege. The water there really draws you in doesn’t it? Is there an all-inclusive bundle i can get? I sure would love to do some scuba diving there–maybe find a wreck?–thank you for such an informative page—maybe we’ll see you down there…..
Wow, Mulege is so beautiful. I’ve never traveled to this region before, but it seems like everything you could want to do is available. I am really intrigued by the restaurants; they seem really awesome. I would have to try all of them! Might have to add Mulege to my travel plans for next year! Mulege is one of those places on the Sea of Cortez that really has a little bit of everything. Rich with culture and history, to the Baha Concepcion which has amazing beaches. Most have not been or heard of it. But if you are in the Baja, it is worth spending a few days in for sure. Thanks for visiting! Great site!! I love beaches and really enjoyed visiting your site. I will be there again for sure. I was so pleased to see Eleuthera, Bahamas represented. It is my favorite place. How many of these places have you been? What a great way to travel, share information, and make money .